This paint your own Dump Truck craft kit is made of real wood, and includes everything you need to create an awesome construction vehicle! The back of the truck really dumps! 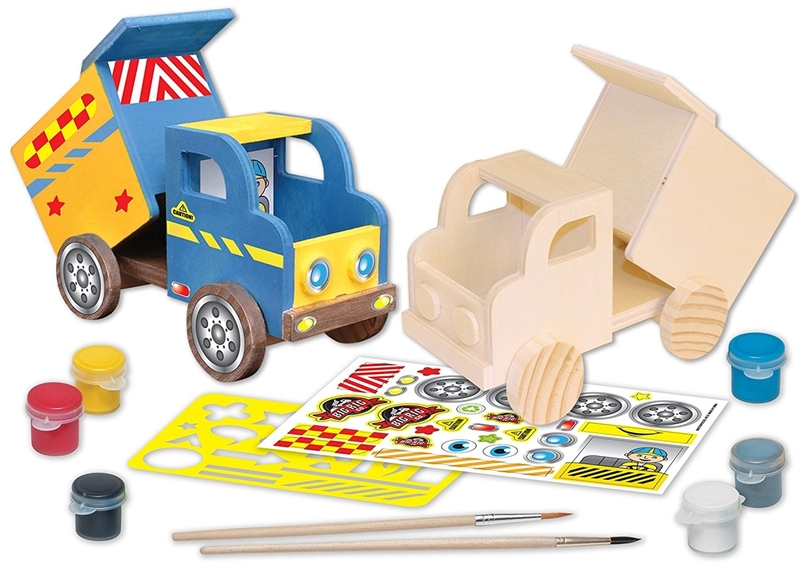 This is the perfect craft project for any kid who loves art and construction! 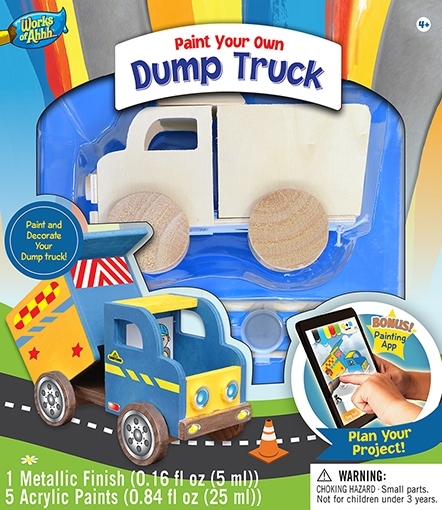 It includes 1 wood dump truck, 1 stencil sheet, 1 sticker sheet, 1 non-toxic metallic silver finish, 5 non-toxic acrylic paint tubs, 2 artist-quality paintbrushes, and 1 instruction sheet with painting guide. A FREE Bonus App is included with this purchase! Download the Works of Ahhh app to digitally paint and plan out your project before you ever pick up your paintbrush!